The bad news: it’s literally impossible to carry all the water you’ll need for a multi-day hike. One litre of water weighs one kilogram and quickly adds up to be the heaviest item in your pack. And worse? All water sources found along bush tracks run the risk of water-borne nasties that can make you very, very sick. The good news: it’s easy to purify water with options to suit your weight requirements, time constraints and budget. Here’s how to purify water while hiking. 3. viruses – eg Hepatitis A and norovirus. There are four main ways to purify water. Remember these methods are only effective if you closely follow manufacturer’s instructions. We’re affiliates for WildEarth meaning we make a small commission if you buy after clicking a link. It costs you nothing extra and we only recommend WildEarth because we personally use them too. These use chemicals to disinfect water to make it drinkable. There are numerous types on the market using different chemicals. Iodine tablets taste like, well, like iodine. While they treat Giardia, they do not treat the less common Cryptosporidium. Iodine is also a problem if you have thyroid problems, are pregnant or if they’re used on a long-term basis. Be aware of these potential side effects when buying an iodine-based tablet like Potable Aqua. Aquatabs may be available from your local chemist and treat Giardia but not Cryptosporidium. Micropur is my preferred option because it tastes less like a swimming pool and treats everything. It’s the water purification tablet of choice for leading outdoor retailers (I haven’t seen it in a chemist). We sell single sheets of Micropur which is more than enough for a two to four day hike (includes free postage), or you can buy a whole packet (four sheets, 100 tablets) delivered to your door from WildEarth. Tip: I save one litre of water to drink from a bottle while the purifying tablets are working their magic in my Camelbak bladder. Simple to use, lightweight, easy to store and transport. 100% effective against bacteria, protozoa (check the label for giardia and cryptosporidium protection) and viruses. Doesn’t filter any visible bugs or sediment from your water. Wait time of up to one hour while tablets disinfect water. Can add ‘flavour’ to water. These force water, usually pumped, through tiny filters to eliminate microscopic critters from your water. They filter out protozoa and bacteria but viruses are small enough to get through most filters. Water-borne viruses aren’t prevalent in most developed countries, like Australia, so you should be okay. However, all it takes is one infected person to toilet somewhere upstream and you could be exposed. Check out the Katadyn Hiker Pro or Katadyn Water Filter Bottle (made by the people who make Micropur). This bottle is cool because you can either squeeze filtered creek water straight into your mouth or into another bottle or bladder. Doesn’t change taste of the water. After water is filtered it’s safe to drink – no additional wait time. Can be bulky and tricky to use at first. UV light destroys over 99.9% of bacteria, viruses, and protozoa including giardia and cryptosporidium. It needs non-cloudy water to be truly effective and requires batteries to operate. It can be a bit tricky if you drink from a water bladder or similar drinking system but works great in 1L bottles. Steripen is the most trusted model on the market. 99.9% effective protecting against bacteria, protozoa and viruses. Doesn’t affect taste of water. Uncertain results in large drinking bladders. * I walk in Sydney all year round and can usually always find at least a trickle of clear, running water. The sediment and cloudiness isn’t really an issue. Still the absolute best way to treat your water. Keep it boiling for at least one minute to destroy pretty much everything nasty in the water. Boil for up to five minutes if you’re cautious. Boiling water obviously requires a heat source, usually a gas stove or fire. Not ideal in the middle of a day walk but fine at camp in the evening. As well as a stove, you’ll need to carry enough fuel to boil all the water you need. This may be a small amount for a two day hike, but the extra fuel adds up if you’re going for longer, so consider the weight issue too. Your billy or saucepan may not be big enough to boil it all in one go, so you could be boiling four or five lots of water every day. The most effective method for killing bacteria, protozoa and viruses. Great for hot water bottles on cold nights (see Hiking Hack below). Needs stove, fuel and a billy or saucepan. Time consuming to setup stove or light small campfire. May need to wait for water to cool before transferring to drinking containers, unless you are making a hot water bottle for bed (see Hiking Hack below). Okay, I know I said boiling water is the most effective, but that’s actually not what we recommend for hiking because it requires too much other stuff. I regularly do 4 day/3 night hikes and never choose to boil water, unless it’s a freezing cold night and I want a hot water bottle (see Hiking Hack on right). Instead, we go for water purification tablets. It’s the lightest, easiest and most effective way. Micropur Forte water purification tablets by Katadyn come in boxes of 100 tablets (four sheets of 25) and each tablet treats 1 litre of water. You can buy a whole packet from outdoor stores. You probably won’t be drinking 100 litres of treated water in a hurry, so we’ve divided them into individual blister packs of 25 so you can try them out. Buy a sample pack, with free postage Australia wide. Fill your hard plastic, stainless steel or aluminium water bottle with boiling water on a cold night. Wrap it in a jacket and place it down the bottom of your sleeping bag to keep you warm. Have a great nights sleep and drink it in the morning! Do I really need to purify creek water? The short answer is yes, always purify your water. Water purification doesn’t take long. The negative effects of not treating water can leave you sick for days or even months in extreme cases. If you are in the mountains with no human settlement or grazing animals upstream, the water should be drinkable. However, a pristine looking high country stream can still have some nasty stuff lurking inside. The risks aren’t worth it. Purify your water. What will happen if I don’t purify my water? If you are lucky, nothing. But if you’re unlucky, the phrase “explosive, foul-smelling diarrhoea” should put the fear into you! If there is some form of human or animal faeces upstream, you expose yourself to gastro. Same if there’s a dead animal. Diarrhoea, vomiting and cramps aren’t good friends with hiking and camping. They should not share a tent together. How much water will I drink on a hike? Three litres of water per day for bigger adults and two litres for smaller adults is a good base. That’s if you’re sitting at your desk all day looking at your screensaver of the Coast Track. 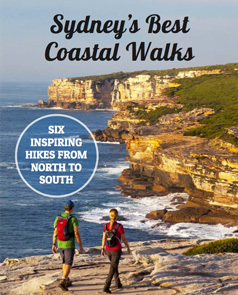 If you are actually walking the Coast Track on a hot day, you could easily increase this by 50% again. We humans are 60% water; the more we sweat the more fluid we need to maintain the balance. I’m a fit, 80kg man who sweats a little bit more than the average bloke. I drink more than three litres on a full day bush walk in winter. Add a couple of hills, a heavier pack and make it summertime and I will drink more than six litres a day. Remember, six litres of water weighs six kilograms. Now do the sums: if I’m on a four day hike with all my gear on my back, I can’t carry 24kg of drinking water, plus another 4kg to cook with at night. That’s why purifying water while hiking is essential. Where can I find water while hiking? So now you know how to purify water while hiking, you’ll still need to find it along the track. A topographic map shows all the water courses on your route. Blue lines indicate gullies, creeks and rivers (may be called “streams” on your map legend) where you should be able to find water. Check recent local weather reports to determine if these watercourses may actually have water in them. Find a nice flowing section of the creek where there is not sediment or bugs floating on the surface. Waterfalls or cascades are great, stagnant pools less so. Upstream from a campsite or populated area is always better than downstream. So there's water purification tablets, filtration systems, ultraviolet light and good ol' boiling the water. Have your say: What's your favourite or most effective way to purify water for hiking? Have you ever taken the risk of not purifying water? What happened?